So it has been a while since I have delved back into the shady world of football management on here and I think it is time to check just how my first season in the Premier League is going. For those of you who are new here please feel free to look back through some of the older posts on this save to get up to speed with the "Mighty Addicks". 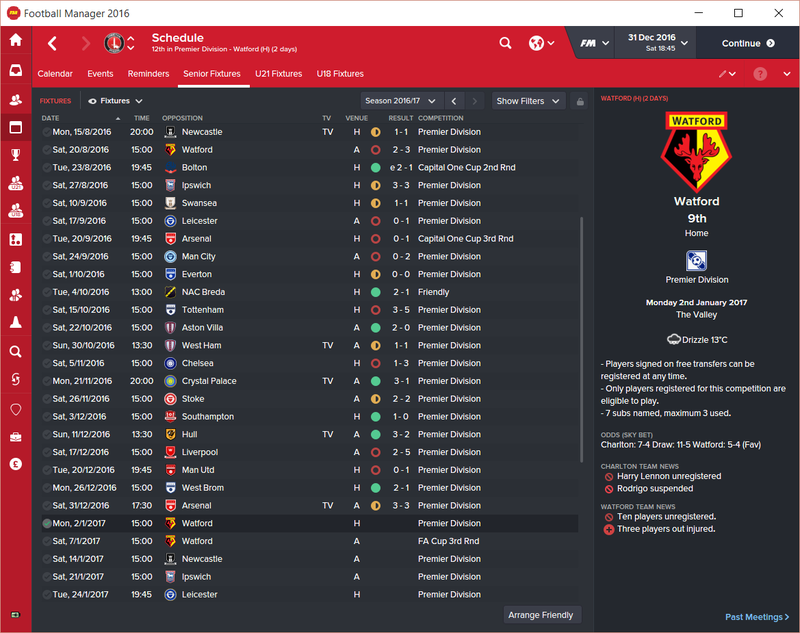 Last time out we had stormed away with the Championship title and I was getting all set for a summer of transfers in. So let's start there. I must point out here that I forgot to take a number of screenshots in game and had to go back and grab them at a later date so you will already see some attribute improvements. It also means that this post will be a lot shorter than my previous Football Manager posts that seemed to go on for days and days! First up is a young goalkeeper who I picked up cheaply from Crewe Alexandra. Now I don't know if their young players are this good in real life but my scouts seem to love a number of the players there who are under the age of 23 and I may revisit their ranks at a later date to further bolster my own squad. Ben will not be going straight into my first team, instead he is someone that I hope I will be able to develop into something special over a number of years. At 22 he isn't the youngest prospect I will pick up but I am of the opinion that keepers develop a lot later than younger players. 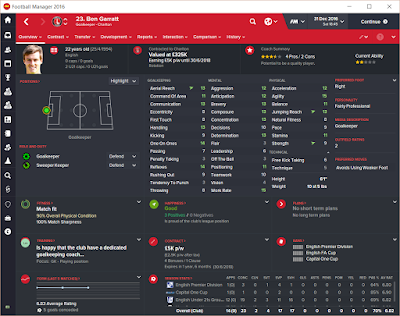 Another bonus for me is that he has already hit 80 games which is my "magic" number for goalkeepers. I personally don't like to start a young goalkeeper regularly unless he has played that many games. I usually loan out my young keepers so that they can hit this number and then I make a judgement on whether or not I think they can make it at my club. 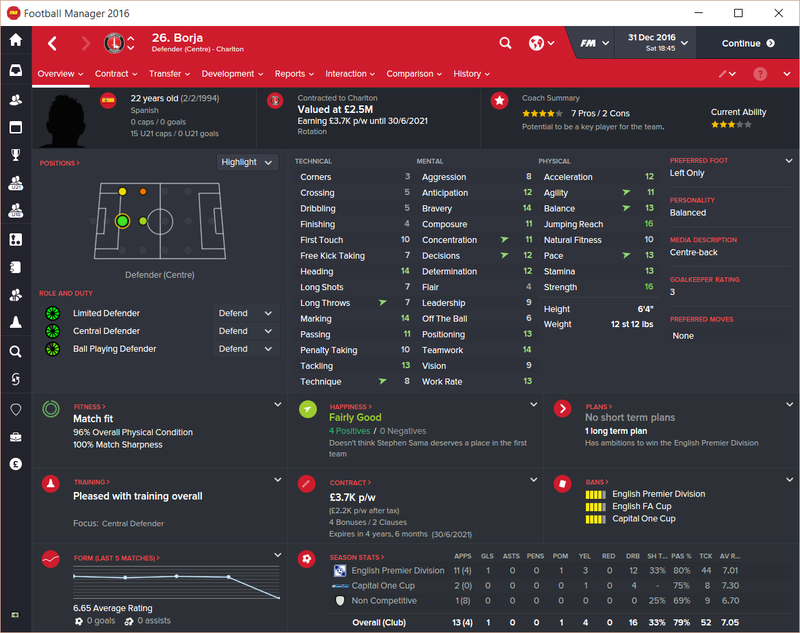 This time out, I decided to keep Ben with the team for the first half of the season so that he could benefit from the coaches that I have brought in. During the second half of the season I plan on loaning him out so that he can put that coaching to good use! 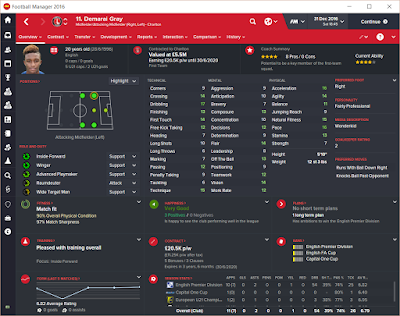 Next up is Demerai Gray, recently making the move to Leicester in real life. 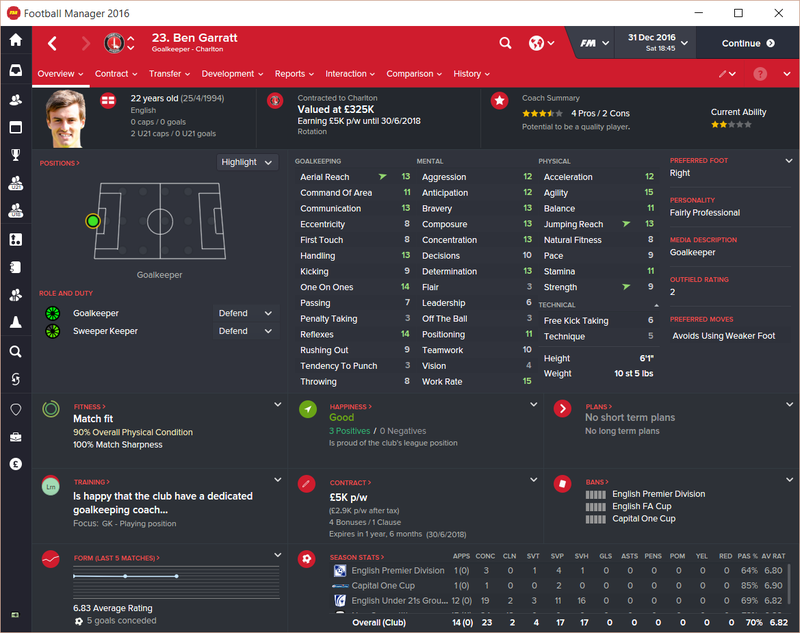 As soon as the board set my budgets for the upcoming season I moved to sign Demarai, a fast and direct winger with the potential to put the ball in the back of the net. 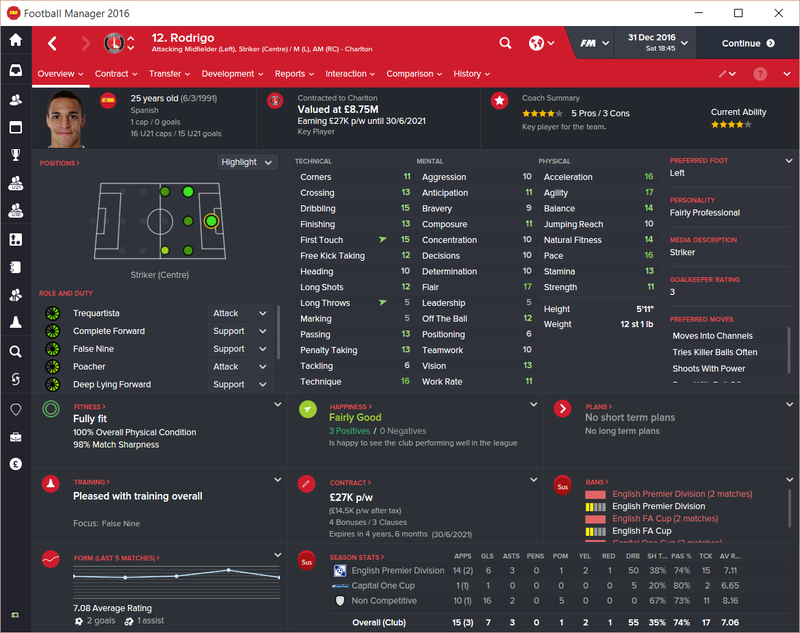 Hopefully he can be a better version of Franck Moussa who made the left wing role his own at the end of my first season. I have kept Franck around as an experienced backup but I envision Demarai getting the majority of the minutes for me this season. Jamie Allen. 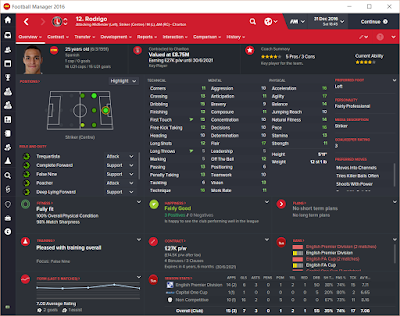 My scouts had found him during my first season while he was playing at Rochdale. It appeared that his contract was running down as the season was ending but Rochdale had one last trick up their sleeve and triggered an extension clause in his contract. Not to be deterred I went to them and eventually negotiated a 1m deal for the central midfielder. I felt that Jamie would immediately step into my first team as my current CM options, with the exception of Jordan Cousins who I use as a DM, are pretty underwhelming. Jamie also has the potential to develop into something more than he currently is. Next up is one of the longest transfer sagas I have been involved in in all my time on Football Manager. 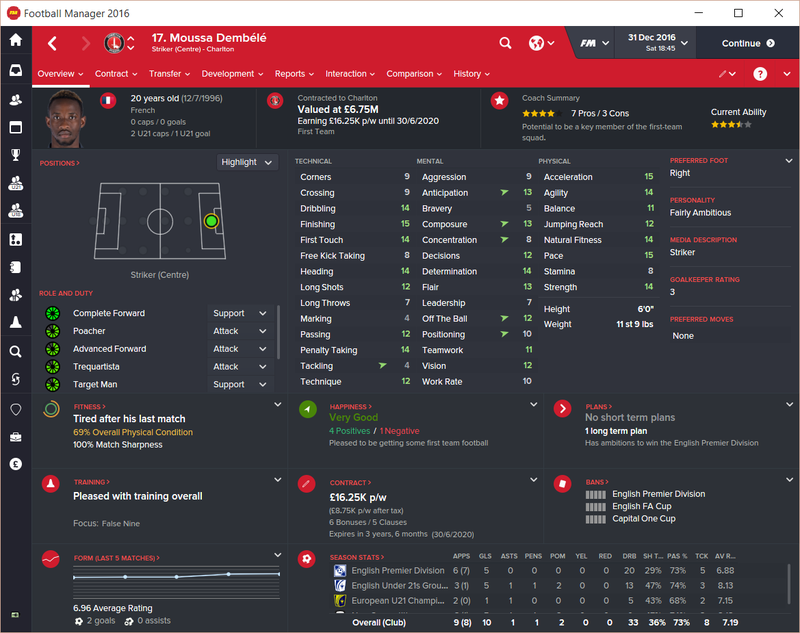 Moussa made an appearance against me for Fulham during the season and although his statistics were not particularly impressive both my scouts and I were so impressed with him that I made him my main target as a striker. 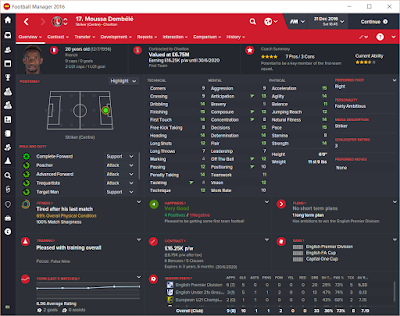 Unfortunately, despite being relegated, Fulham wanted to play hardball and wanted 12.5m for him. 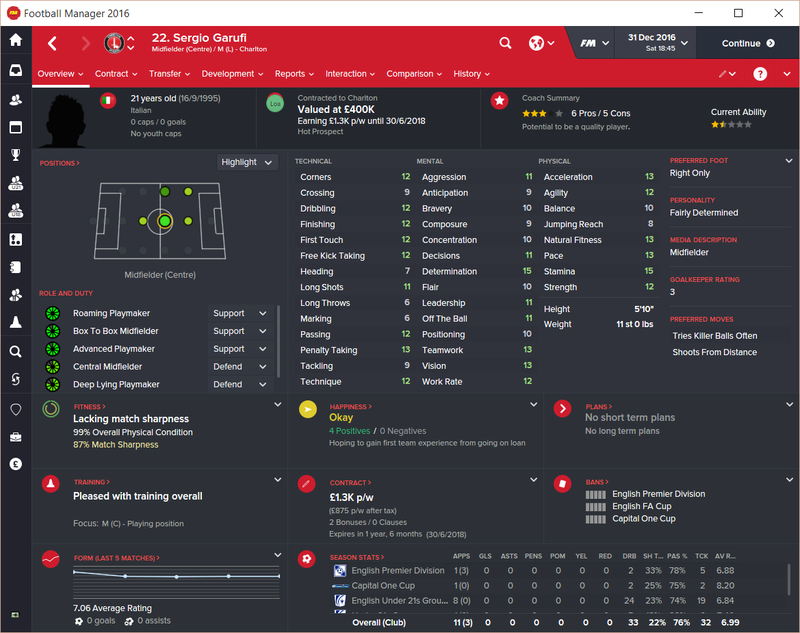 Although I adjusted my wage budget to boost my transfer funds I was not willing to part with that much money for a striker who scored 4 goals in 30+ games. Thankfully Fulham blinked first, on Transfer Deadline Day, and I was able to strike a deal with them for 7.5m and 20% of any future profits. Good thing I don't plan on selling him any time soon! When it looked like the deal for Dembele was going to fall through I decided to make a move for Rodrigo who was on the transfer list in Spain. Coming in at a bargain 4m Rodrigo seemed to be the answer to my prayers when I brought him onboard. 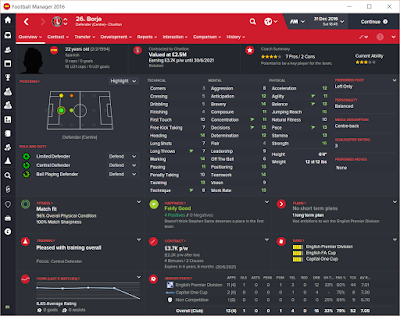 He was in scintillating form in pre-season with 16 goals in the friendlies, cementing him as my first choice striker for the start of the season. The final two players on the list were bargain bucket signings. Borja came in for under 500k and was the perfect rotation option behind last season's star CBs Patrick Bauer and Naby Sarr. Once again he is a young player with the potential to develop and I hope that he will eventually push Naby and Patrick for the place in the first team. Last, but not least, is Sergio Garufi. A free transfer from Italy, Sergio is not someone that I feel will come straight into the first team but could learn from a few substitute appearances and perhaps a loan in the second half of the season. Looking at him he has a lot of the technical attributes that should stand him in good stead in midfield, although he could probably do with improving his tackling! So with the major transfers, and surprises reviewed let's jump into the fixtures! And here is where things started to unravel. There was some bad luck, there were some dire performances but I never felt that we were as bad as some former club heroes made out! A draw against Newcastle on the first day of the season felt like a good start to me, although we contrived to lose a 1-0 lead in the final minutes of the game. Watford and Ipswich were sickening results for me where we somehow managed to throw away 2 goal leads on 3 occasions! (2-0 against Watford, 2-0 and 3-1 against Ipswich) To rub salt in the wounds Clayton Donaldson scored a hattrick for the Tractor Boys and that was probably the only goals he scored all season! At this point I fell out with Tony Watt. Maybe I was being a bit harsh with my team talks but throwing away two goal leads is not something I was willing to tolerate! Tony came to me after the Ipswich game and started to complain about the way I was speaking to players. Fortunately for me no one else saw it his way but to prevent him from causing any further trouble I decided to loan him out to Blackburn in the Championship. Maybe a good run of games down there would help turn him around and he could return in January and give us a boost for the second half of the season. Leicester was another sickening result, we completely dominated the game for 87 minutes, and then Jamie Vardy scored with their ONLY shot of the game! After the Man City and Arsenal results I decided it was time for a change of tactics, I had switched back to the 4-3-3 for the start of the season, and I reverted back to the 4-4-1-1 that had served me so well in the second half of my first season. A 0-0 draw against Everton wasn't enough to silence the boo boy Steve Brown managing Pompey, so I set up a friendly in the international break to get as many players as I could as comfortable with the formation as possible. I had been training them up on it as a backup plan since pre-season but there is nothing better than game time to get a tactic settled in. Unfortunately a 5-3 (we had been behind 2-1, 3-1 and 3-2 but desperate for an equaliser I opened us up to 2 soft goals late in the game for Spurs) drubbing at the hands of Spurs followed and I started to worry that the board might start getting an itchy trigger finger! Villa were right behind me and I knew it was a make or break game for me. Franck Moussa returned to the team and was the hero with our first goal, with Rodrigo netting a second to settle my nerves at the death. 2-0 and a big jump up the table. A good draw against West Ham was followed by an expected defeat at Chelsea who were dominating the league. Then the big "rivalry" game against Palace. A good result here would push us right up into the "mid-table" area, while a loss would drop us back into the relegation dogfight and see the Eagles jump above us! Once again my boys proved their mettle. Rodrigo and Moussa were getting us goals again, this time Franck settle my nerves at the death grabbing our third as Palace pushed for an equaliser. Stoke grabbed a lucky draw at home in a game we dominated and we came out on top against Southampton and Hull in a key run for my future at the club and the club's future in the Premier League! Liverpool completely dominated us to end our run of good form and United somehow stole a result at The Valley which was completely undeserved! 2 points or more from the West Brom and Arsenal games would get us to the 20 point target I had in my mind for the first half of the season and we managed to pick those up against West Brom with a game to spare. After the League Cup game against Arsenal I knew what to expect from them and I think we caught them off-guard as we lead 3-2 into injury time before an error from a tired CB gave Higuain a simple tap in to tie up the game. So there we are, halfway through the season and sitting in 12th. 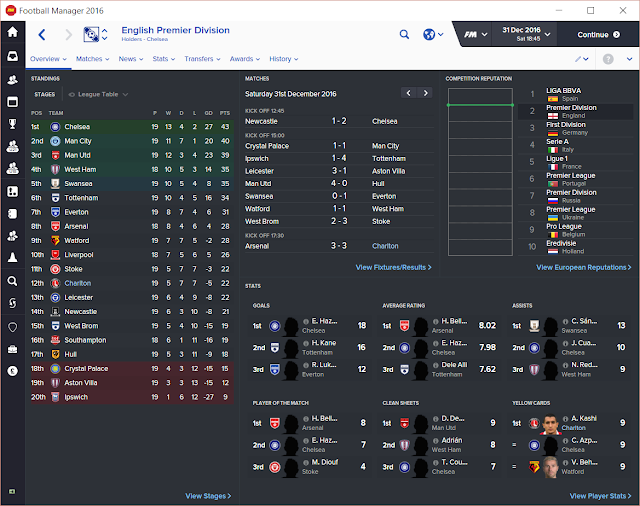 Not bad for our first season in the Premier League. If there is one thing I have learned from this start to the season it is that having lots of young players is all well and good but without an experienced head to lead them it can be quite hard to turn things around when a prolonged series of results go against them... Such as an 8 game streak without a win. Also it is never good to forget about the players who helped to get you where you are today, sometimes they can prove to be the hero you need just when you need them most. Thank you Franck Moussa!! If you are enjoying this series please can I ask you to do something in real life for me. Usually I wouldn't do this, if you take a look at all my other articles you will be able to see that this is true, but desperate times call for desperate measures. 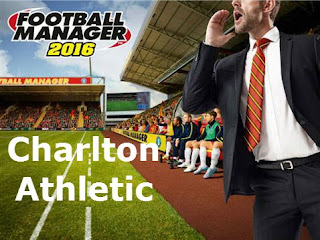 Unfortunately the current owner at Charlton is not as good as his counterpart in Football Manager and I fear, as do many other Charlton fans, that if he is allowed to continue on his current path then he will destroy the club we love and that has been part of our lives. In my case Charlton have been part of my life for more than two decades. With this in mind, if you could, please support the #WeWantOurClubBack hashtag on twitter. You do not need to join our protests or the campaign itself but any little help you can offer to get our message out would be greatly appreciated.